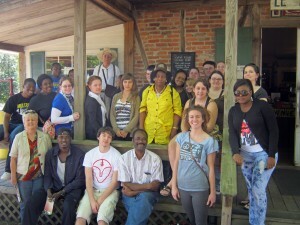 The SAU French Club traveled to Lafayette and New Orleans for two days speaking French and experiencing new culture, including a visit to the Acadian Village. 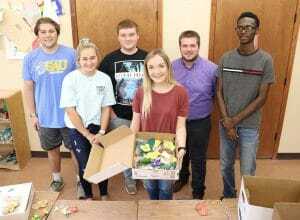 Southern Arkansas University offers students “The Complete College Experience” on campus, and is expanding opportunities to earn life and learning experiences away from campus. 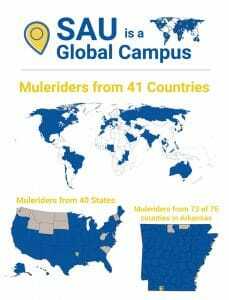 The SAU Foundation has received donations over the past year to be used for enriching the student experience through travel. As a result, many students from various departments at SAU were given financial assistance that allowed them to travel either to conferences or for other learning experiences. 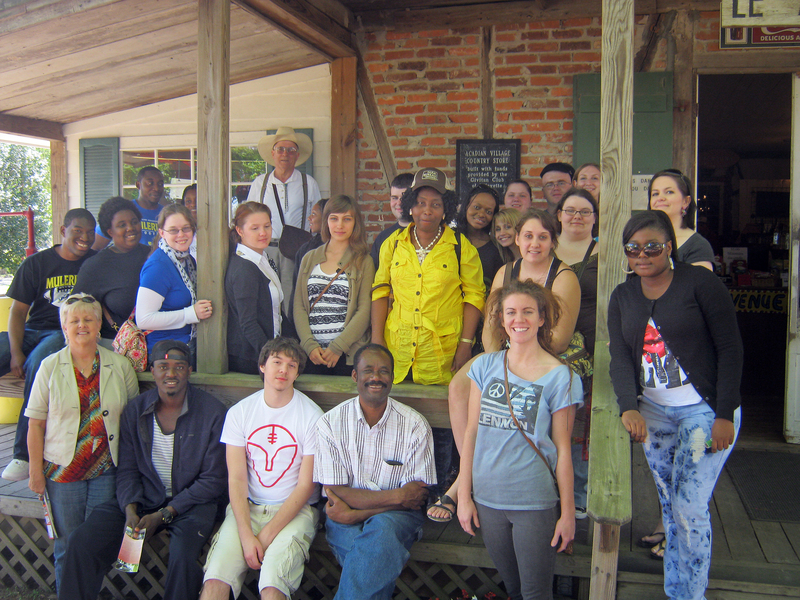 One such adventure included a group from the College of Business and was made possible by a gift from Bill Anderson, ’81, of Dowdney, Anderson and Associates of Plano, Texas. Marketing major Vincent Oliver was among the group that visited several businesses in North Arkansas, including Farm Bureau, Tyson world headquarters, Saatchi and Saatchi X, J.B. Hunt, and even Walmart headquarters. The Student Academic Travel Committee of Dr. Abdel Bachri, Dr. Alec Testa, Dr. Ed Kardas, Jason Martisek, Penny McGlawn, Sheryl Edwards, and Dr. Svetlana Paulson met with Jeanie Bismark and Josh Kee of the SAU Foundation to choose the awards and recipients. student participation in the research process and presentations at conferences. student’s personal financial investment in the travel. representation from all student classifications (traditional, non-traditional, graduate). Megan Kelley, a graduate student in the public administration program, and Daniel Watson, SAU psychology alum, presented in a poster session at the Southwestern Psychological Association (SWPA) Annual Convention in Fort Worth, Texas, on April 6, 2013. Sara Mercado was also given the opportunity to present a qualitative research project at the SWPA convention in April. Barbara Rutter presented a research project at the Arkansas Academy of Sciences conference in Little Rock, and won first place in the physical sciences category. Benjamin Coulter was able to meet and interact with current and future counselors at the American Counseling Association conference. 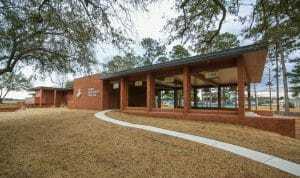 Michelle Beavers is currently at a summer mini session on Barrier Island Ecology at the Gulf Coast Research Laboratory Marine Education Center in Ocean Springs, Miss. A group of 34 nursing students attended the University of Arkansas for Medical Sciences Research Day in Little Rock. Five students received scholarships to assist with their participation in the trip directed by Dr. Svetlana Paulson to Switzerland, Italy, and France. 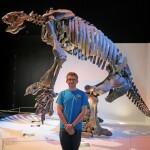 Bobby Watkins stands by a giant sloth skeleton on a trip to the Houston Museum of Natural History with Dr. Leo Carson Davis as a part of a historical geology class. 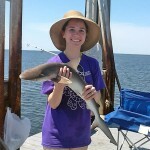 Michelle Beavers calmly holds a shark during a two-week class at the Mississippi coast, a trip sponsored by the Foundation and Honors College.